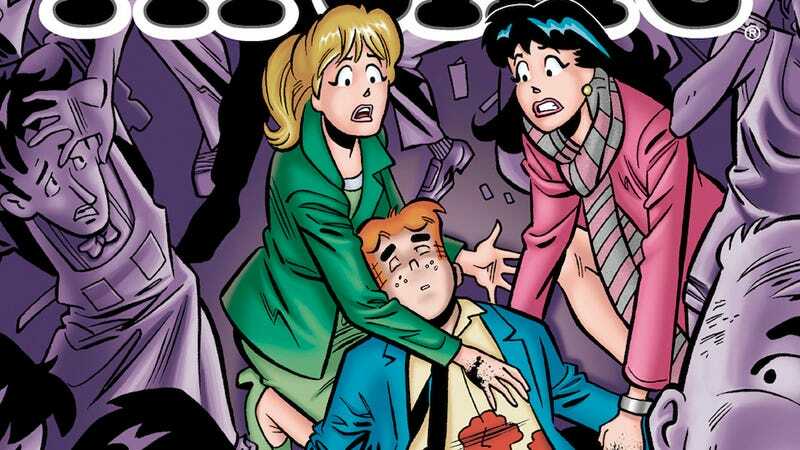 Since news dropped that Archie Andrews will be killed off in one of the summer issues of the "Life with Archie" series, there's been buzz about how exactly it was going to go down. Archie Comics co-CEO and publisher Jon Goldwater stated that he would die selflessly as a hero in a way that "epitomizes not only the best of Riverdale but the best of all of us." The 37th issue of the series will jump one year later and show how the cast and Riverdale is coping with the loss and honoring Archie's legacy. And while Archie will live on in other series, Goldwater emphasized that the character will not be retconned in Life with Archie. Archie has consistently been making some huge strides in social commentary, and it's cool to see the publishers take such a firm stand on gun control.